As part of its long-range strategic plan, AFP developed new mission, vision, and quality statements. A professional association like AFP isn’t just crucial to your own personal growth and success. Organizations, professions and all of society rely on the work and efforts of like-minded individuals united as one voice in a professional association. 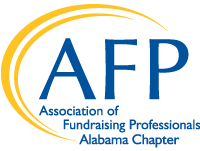 The Association of Fundraising Professionals (AFP) is the professional association of individuals and organizations that generate philanthropic support for a wide variety of charitable institutions. Founded in 1960, AFP advances philanthropy through its more than 31,000 members in 235 chapters throughout the world. In 1960, three fundraisers met for lunch in New York City to discuss an idea they had been toying with for a while: creating an association for charitable fundraisers. Therein lies the beginning of the Association of Fundraising Professionals.